Squaremouth Careers - Are you a Squaremouth Candidate? Ideal candidates will have an intrinsic desire for personal growth and professional success. They will be social, passionate about their work, laid-back and fun. They must be able to work with a lively group of overachievers. They will teach themselves, learn from others, and take ownership of their successes and challenges. Providing exceptional customer service has always been our number one priority. 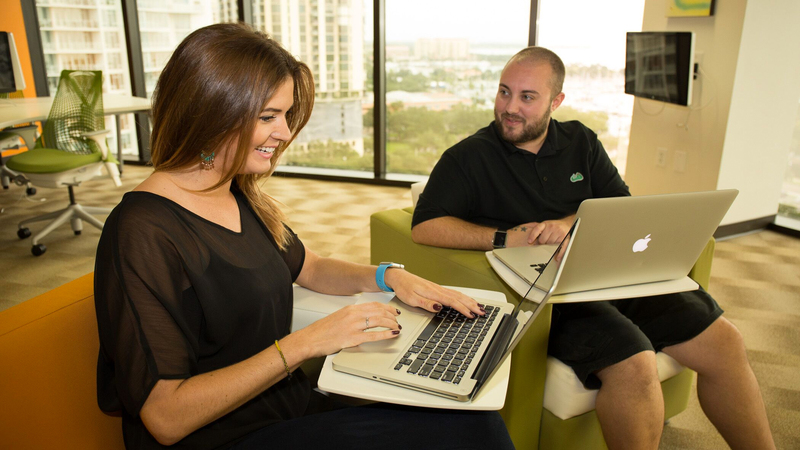 We believe this starts with creating the best possible work environment for our employees. We have received national recognition for our unique culture, nontraditional work environment and employee-centric benefits. Our package of benefits is designed to reward hard work and promote a work-life balance. These have evolved to accommodate our growing company, with new perks being added by an employee vote. Benefits are based on department and tenure. Employees must take at least 10 days off, with no limit on sick or personal days. Squaremouth matches up to 4% of employee salaries for 401(k) contributions. Squaremouth employees receive a quarterly bonus directly based off company profits. Squaremouth offers medical, dental, vision, and life insurance, and flexible spending accounts. Employees get together after work for sunset cruises on the company boat. Squaremouth offers employees the option to work from home. Employees have up to 2 work at home days per week. Enjoy a mandatory day off for your birthday with a $200 Birthday Beer Bonus. Every employee receives an annual pay raise respective to the current CPI. Some perks aren’t planned! Past surprises include iPads and Apple Watches for every employee. 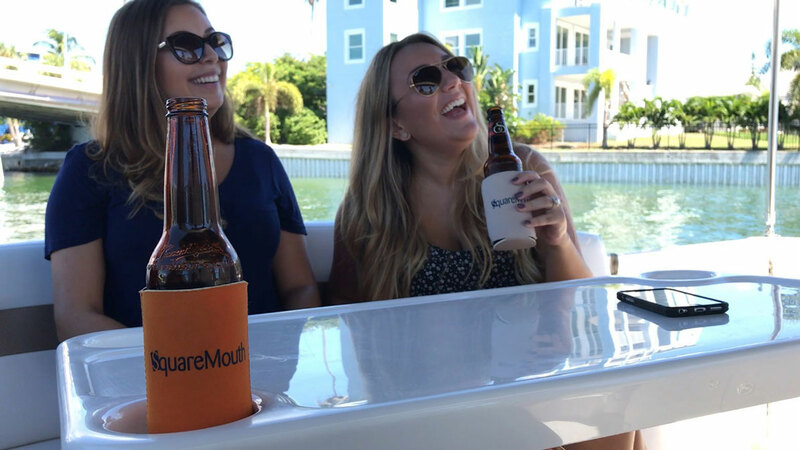 Employees from both Squaremouth offices get together annually for a company trip or party. 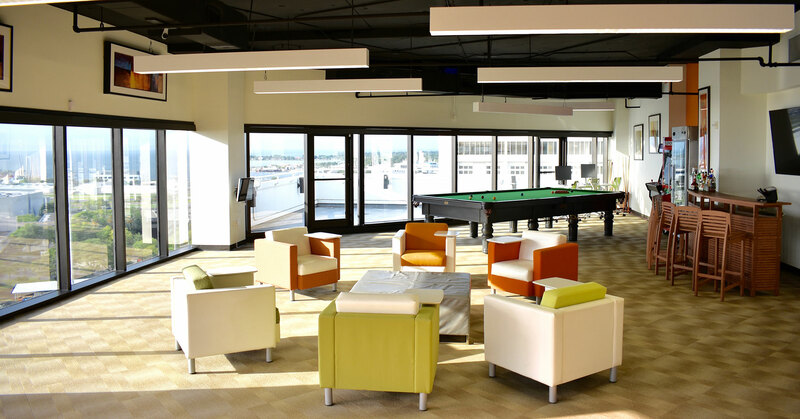 Squaremouth emphasizes a casual work environment with a beer fridge, arcade games, and no dress code. Squaremouth buys lunch for all employees every Friday. Squaremouth’s culture was built around complete transparency. We spoke with CNN Business to explain our company culture and our unique peer-voted raise and hiring process. There is no stopgap. We rely on everyone having enough information and being intelligent enough that they will vote for an acceptable raise. Group interviews and open salaries are core to Squaremouth’s culture. We sat down with Glassdoor to explain how we use group interviews to help us find the best fit for our company. We are a very transparent company. For this reason, it is extremely important that anyone who joins us is comfortable with this type of transparency and open communication from day one. The company’s staff is diverse, with women making up a majority of the management team. It offers unlimited paid vacation, and because people were not taking enough vacation, the company decided to impose a mandatory minimum of 10 days. There are tons of perks to working at Squaremouth, an avant-garde travel insurance comparison engine in St. Pete. But the No. 1 reason national magazines Inc. and Fortune have called it one of the best workplaces in America for women? No secrets. At Squaremouth, they have full salary transparency and peer-based raises, two innovative ways companies are hoping to close the gender pay gap. The local travel insurance company that woos its employees with unlimited paid vacation time, no assigned desks and a keg of beer always on tap just keeps on giving. Squaremouth Inc. is bestowing Apple Watches on its employees to thank them and promote an enjoyable workplace. Employees at Squaremouth don’t have standard desks. They sit or stand in front of monitors, sinking into cushy chairs, or casually conferencing around a table. Shoes – are optional. Oh, and everyone knows each other’s salaries. At Squaremouth, everyone is doing much more than the job they started with. Every employee has the ability to do anything they want to do. If your interests have changed and your creative spark needs igniting, go build yourself a new job! Thank you for your interest in joining Squaremouth! Our current job openings are listed below. Many of our jobs receive a high amount of applications. If you do not see the job you are interested in, it has been closed. Our team is constantly growing! Please check back in the future as we often post new opportunities to join us.